Staining Box is moulded in Polypropylene, this helps in stain fixing, de-staining and handling fragile electrophoresis gels and membrances. Box as well as cover will resist temperatures from -70oC to +70oC. The LDPE plug provides leakproof seal and allows easy liquid drainage. 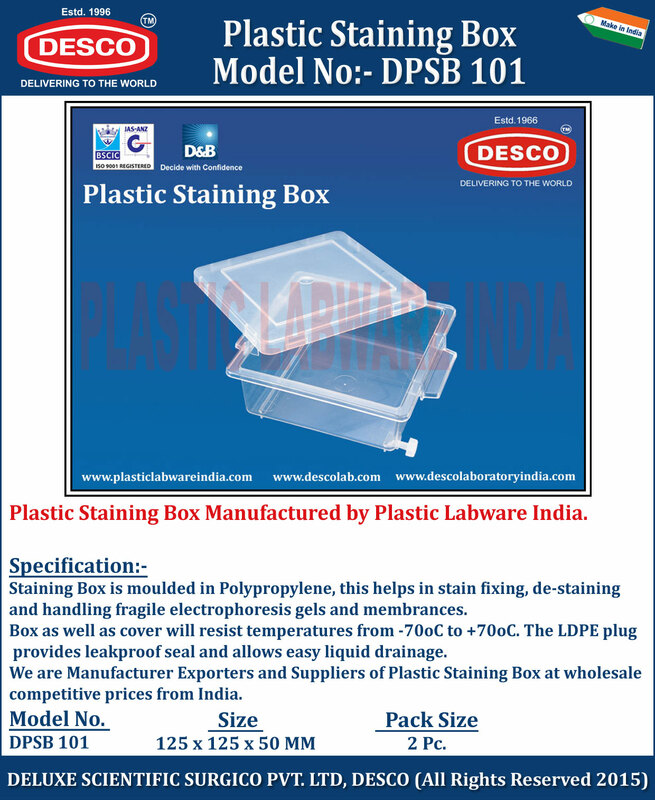 We are Manufacturer Exporters and Suppliers of Plastic Staining Box at wholesale competitive prices from India. DPSB 101 125 x 125 x 50 MM 2 Pc.